Galway is more than just a pretty face, you know? It’s got a lot going on behind its veil of beauty, culture and craic. 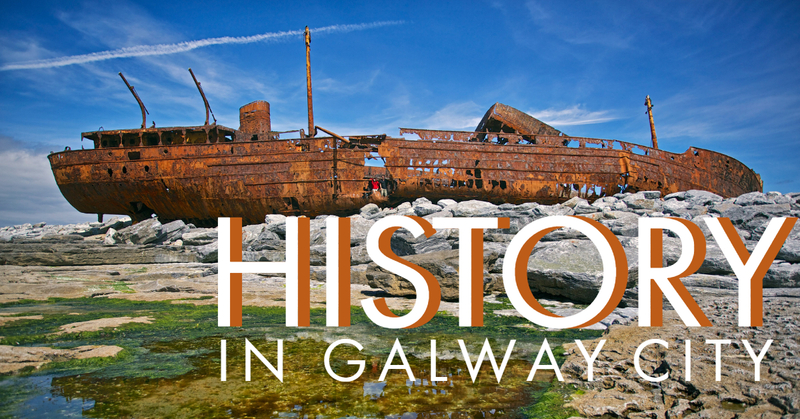 Steeped in history, Galway is filled with eye-catching landmarks and aesthetic monuments dating back to pre-medieval times. 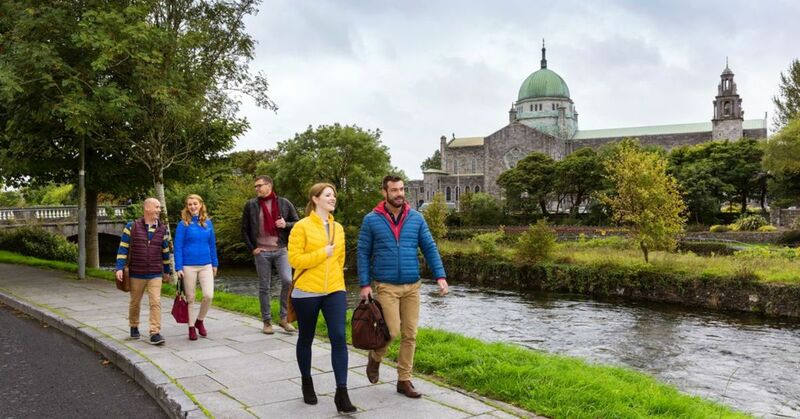 If you want to break out some worldly knowledge next time you’re wandering around town with your mates, or you’re looking for the best spots to truly immerse yourself in Galway’s heritage – we’ve got you covered. Featuring in the opening sequence of the beloved comedy series Fr Ted, this shipwreck is known across the world. During a terrible storm on 8 March 1960, the 600-tonne ship crashed onto the island of Inis Oirr where it remains over 50 years later, rusted and revered (picture above). The former entrance of the Browne house in 1627 – now a freestanding feature of Eyre Square – serves as a reminder of Galway’s exceptional Renaissance architecture. The door’s intricate carving details the coats of arms of two families united by marriage thoroughly enhances the beauty of the Square. 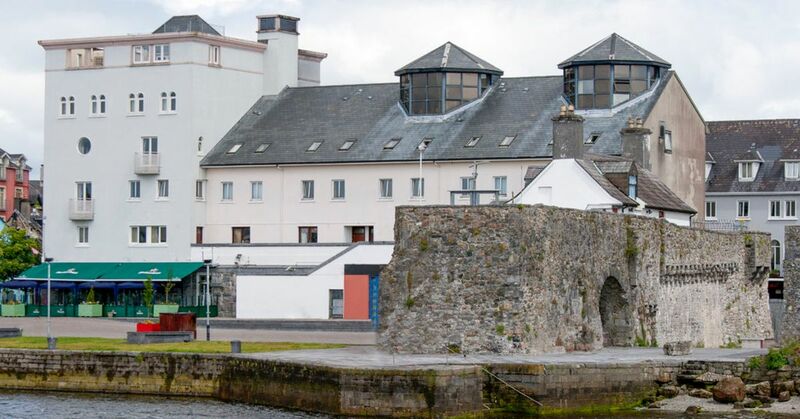 Believe it or not, Spanish Arch is more than a designated can-drinking spot! (Who knew?!) The arches date back to 1584, built as an extension of the 12th century Norman-built wall to protect the quays from invasion. Perched on the edge of the city, Spanish Arch is usually filled with music and laughter and an atmosphere of sheer enjoyment. Way back in 1493, the mayor of Galway James Lynch FitzStephen hung his son from the windows of their home after he confessed to the murder of a Spanish merchant who put the moves on his girlfriend. Since he couldn’t find anyone to carry out the execution, the mayor was forced to do it himself to ensure that justice prevailed. Nowadays this memorial serves as a historical landmark. Consecrated in 1965, the Cathedral is one of Galway’s largest and most remarkable landmarks. It is the youngest great stone cathedral in Europe with exquisite interiors, divine stained-glass windows and superb acoustics. It is an architectural gem in the city, attracting many a tourist and etching out a beautiful skyline. Way back in the 13th century, Richard the Red Earl erected this hall to serve as a place for locals to curry favour. When the city was taken over by the 14 Tribes, the hall fell into ruin and was not rediscovered until 1997! The remains were excavated and are now encased in glass paneling for tourists to visit and admire along with ancient artifacts, which are also on display. 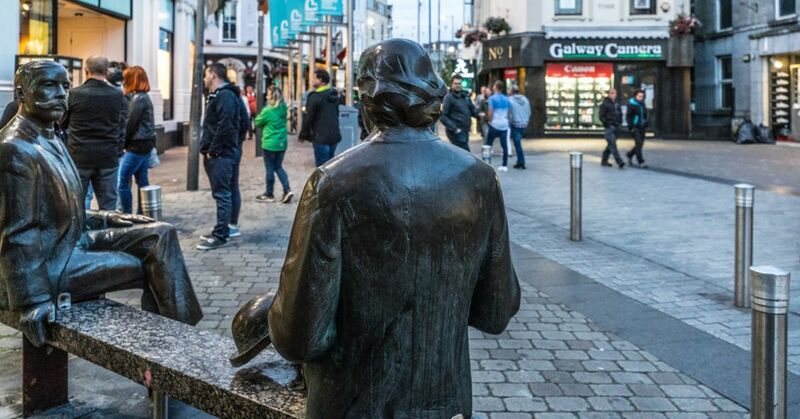 The statues were gifted to the city by Estonia when they joined the European Union in 2004 and have become iconic monuments on the streets of Galway. The legendary writers – who had never met – appear deep in discussion on a bronze bench and are the target of attention from tourists and drunkards alike. Dating as far back as 1320, St. Nicholas’ is unquestionably ancient. The church has changed a lot since its initial foundation, switching between Catholicism and Protestantism many times before landing on Church of Ireland status. Legend has it, Christopher Columbus worshiped within the church’s walls when he visited the city in 1477. 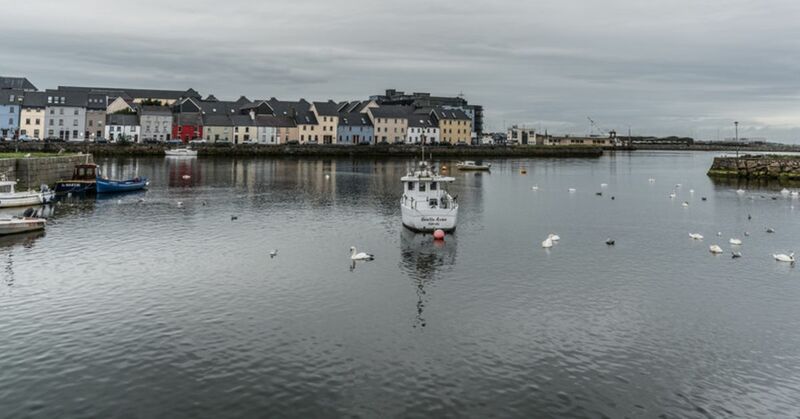 Once an ancient fishing village in the fifth century, the Claddagh was home to a community of people who sold their daily catch at markets, lived in thatched cottages and even had a king! A famous symbol around Galway is that of the Claddagh ring; two hands clasping a crowned heart. Symbolising love, friendship and loyalty, the design came about after Richard Joyce was kidnapped by pirates and taught the craft by his master! Finally, if you want all your history is one compact location, there’s always the museum! The museum has three floors, each jam-packed with exhibitions ranging from archaeology and heritage to art and sea science.